An early type 8500 Series train at Futako-tamagawa Station. Note the curved shape of the roof. 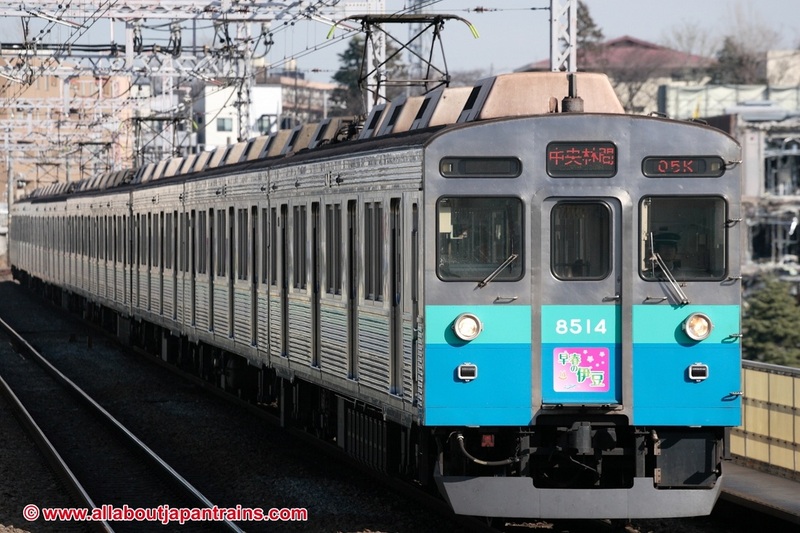 The 8500 Series is a four-door commuter-type electric multiple unit developed by Tokyu to be used on the Shin-Tamagawa Line (Currently the Denentoshi Line) and also the Hanzomon Line. The design is based on the earlier 8000 Series train with an increased number of motorized cars and equipment added to run on the Teito Rapid Transit Authority (Currently Tokyo Metro) Hanzomon Line. The 8000 and 8500 Series are very similar in appearance and nearly identical in equipment. In fact, the 8500 Series, along with the 8090 and 8590 Series, is considered to be a part of the 8000 Series family. In 1976, the 8500 Series was awarded with the Laurel Prize, a prize given to technologically advanced trains. Some of the earlier trains still have the commemorative plaque displayed behind the driver's compartment. 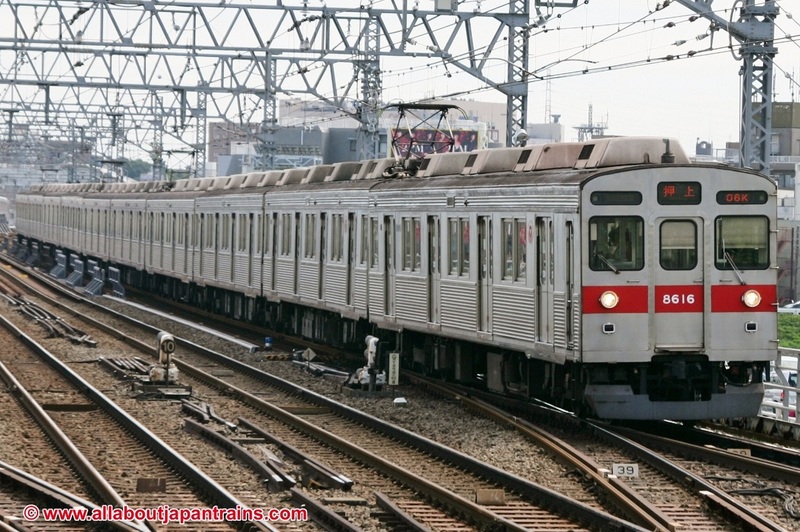 The 8500 Series trains can be split into two major groups; the standard trains built from 1975 to 1981 (Formations 8601 - 8630) and the light-weight stainless steel trains built from 1981 onward (Formations 8631 - 8642) The later trains have a slightly more box-like shape than the earlier trains. 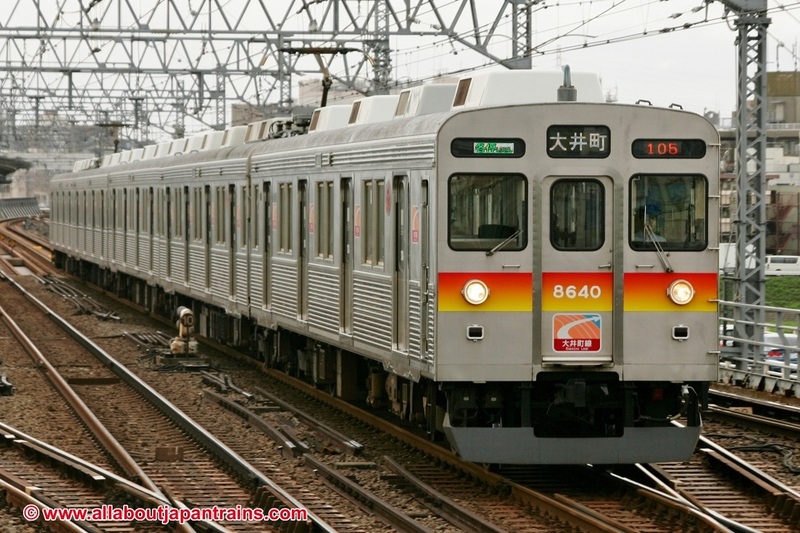 The 8500 Series continues to be the work horse of Tokyu's Denentoshi Line fleet, but is slowly being replaced by the newer 5000 Series. The four trains that are operated on the Ōimachi line have had their pantographs switched from the diamond shaped type to the single arm type. A total of eight train sets have been exported to Indonesia to be operated by PT Kereta Api on the KRL Jabotabek mass transit system. All of these trains have been sold as eight car formations. 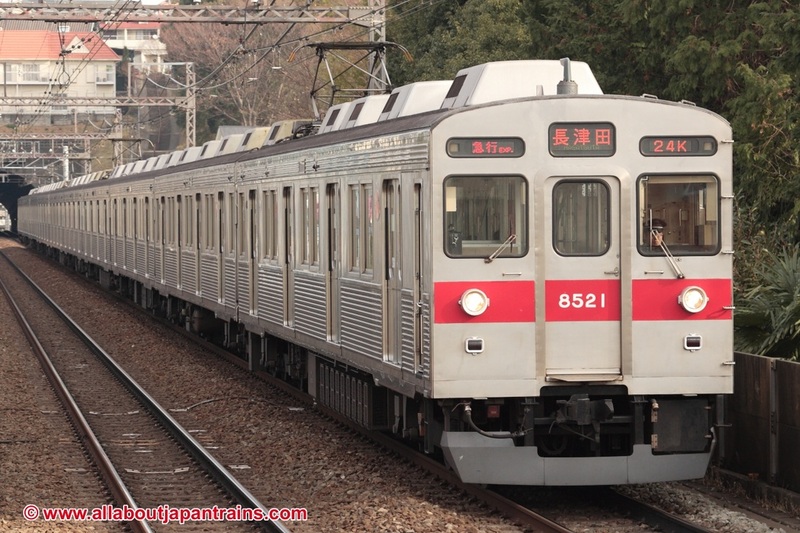 The 8500 Series was the first Tokyu train to adopt the red stripe on the front of the end cars. The stripe was originally intended to increase the visibility of the trains.